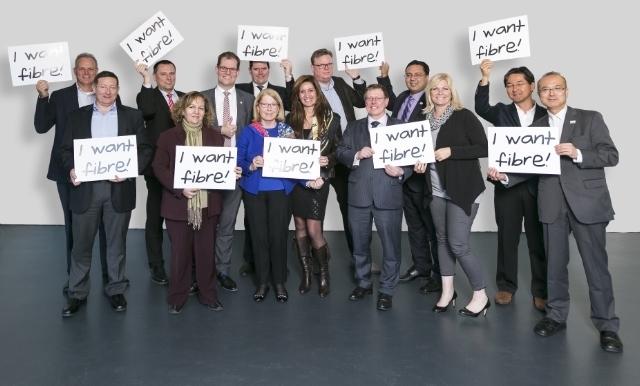 Visit the Fiber to the Home Council Global Alliance Site! 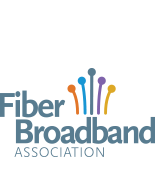 The Fiber Broadband Association is one of five separate but closely cooperating organizations representing the fiber to the home industry in regions across the world. Our four sister organizations promote fiber to the home in Europe, the Middle East and North Africa, Asia-Pacific , and sub-Saharan Africa. In addition, in April 2009 regional FTTH businesses in Latin America organized a chapter within the Fiber Broadband Association to respond to growing interest in fiber to the home among telecom providers in that region. The group meets regularly to collaborate on general topics of interest within the all fiber community, most recently publishing a Global Reference of Terms and Conditions. The Latin America Chapter of the Fiber Broadband Association is comprised of a diverse group of telecom service providers, high-tech manufacturers and other enterprises from across Latin America. The aim is to promote the development of next-generation, high-bandwidth internet, voice and video services to residences throughout the region. Eduardo Jedruch is the President of the LATAM Chapter. The LATAM Chapter includes standing committees for finance, technology, marketing and regulatory matters as well as for liaison between the local chapter and the Fiber Broadband Association. For more informaton, email us at latamchapter@ftthcouncil.org. The FTTH Council Europe believes that the development and deployment of fibre based broadband access networks will enhance the quality of life for European citizens and provide the European countries with an infrastructure that will allow its companies to increase their effectiveness within the global marketplace. Click here to visit the FTTH Council Europe website. Click here to visit the FTTH Council Europe Annual Conference website. The Fiber-to-the-Home Council Asia-Pacific is a market development organization whose mission is to educate, promote and accelerate FTTH and resulting economic and quality-of-life enhancements. Our mission is to educate, promote and accelerate FTTH and the resulting economic and quality-of-life enhancements. Click here to visit the FTTH Council Asia Pacific website. Click here to visit the FTTH Council Asia Pacific Annual Conference website. The FTTH Council Middle East and North Africa is an industry organization with a mission to accelerate FTTH adoption by all broadband stakeholders through information and promotion, in order to accelerate the availability of fiber-based, ultra-high-speed access networks to consumers and businesses. We promote FTTH because it delivers a flow of new services that enhances the quality of life, contributes to a better environment and boosts competitiveness. Click here to visit the FTTH Council Middle East & North Africa website. Click here to visit the FTTH Council Middle East & North Africa Conference website. The FTTH Council Africa believes that the development and deployment of fibre based broadband access networks will enhance the quality of life for South African citizens and Africa as a whole, and provide African countries with an infrastructure that will allow its companies to increase their effectiveness and competitiveness within the global marketplace. The council’s charter is to educate Africa governments, policymakers and political leaders on why and how high speed fibre connectivity can be delivered to citizens within the next years. Through consulting with all major stakeholders, understanding their strategies and concerns - we endeavor to be the voice for the industry and creating a better future for all involved. Click here to visit the FTTH Council Africa website.